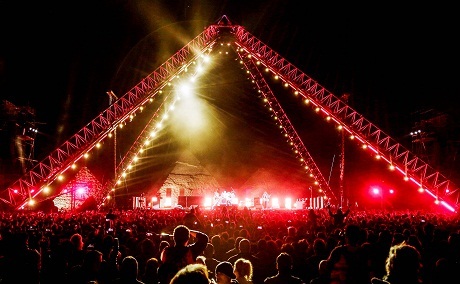 Californian group Red Hot Chili Peppers played in front of Egypt's great pyramids of Giza on Friday, entertaining more than 10,000 people at the site and many more over a livestream link. 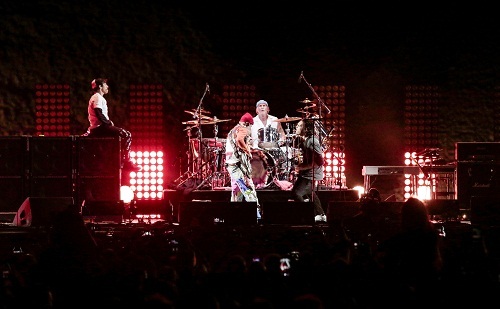 With the three ancient monuments silhouetted behind the stage, the funk-rock band opened with "Can't Stop" from the 2002 album "By The Way" and followed with "Californication", "Dark Necessities" and other hits. 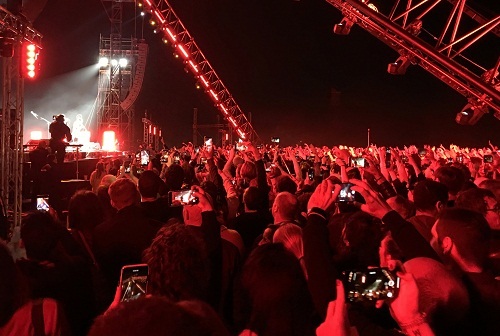 The concert, held under tight security, was promoted by Egypt's tourism ministry, which is trying to put the country back on the map as a prime destination after an uprising in 2011 and years of subsequent turmoil scared many visitors away. "It was a lot of work to get here but it was absolutely worth it," said fan Christina Robertson, from Madison, Wisconsin, who left five children at home to make the trip. "I've always wanted to come to Egypt, I've always wanted to see the pyramids, it's spectacular, it's a dream, and to see Red Hot Chili Peppers here, my favourite band of all time." 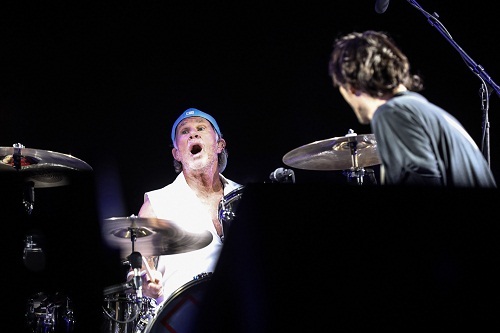 Singer Anthony Kiedis, bass player Michael "Flea" Balzary and drummer Chad Smith join the likes of The Grateful Dead, Scorpions and Frank Sinatra performing at one of the seven wonders of the world. The concert is the first international gig to be held at the ancient site since pianist Yanni in 2015. Fans travelled from 67 countries, said concert organiser Karim El Chiaty, Vice Chairman of Travco Group. "I think there's a big fan base in Egypt and I think for what we're trying to achieve here today, which is to promote tourism in Egypt, we needed a band of that kind of scale and that influence," said Chiaty. Red Hot Chili Peppers have sold more than 60 million albums, won six Grammy Awards and were inducted into the Rock and Roll Hall of Fame in 2012. The band is currently on a world tour and working to complete their 12th album following their 2016 release "The Getaway".